Jason Marsalis, the consummate drummer turned mallet-master, returns this January with Melody Reimagined: book 1 the first in a series that finds the New Orleans-born phenom in his element writing, producing, and arranging all original music that is deeply informed by not only the rich tradition of jazz, but a wide understanding and appreciation of music in general. 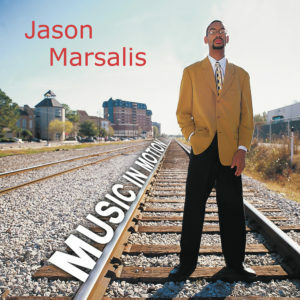 The youngest member of and NEA Jazz Master with his musical family, Marsalis has proven his genius and dedication to the art form of jazz by first establishing himself as a world class drummer, and then completely reinventing himself as a master on the vibraphone and other mallet instruments in the mold of greats such as Milt Jackson and Bobby Hutcherson. In fact, he has been selected as a featured artist to tour with the legendary Lionel Hampton Big Band to share the music of the legendary bandleader. 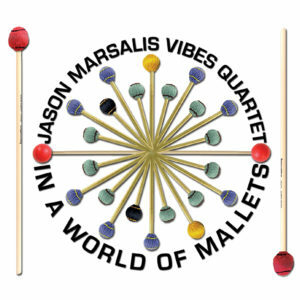 An all-around musical polymath, it is a true treat to hear Marsalis perform a whistle-solo, or demonstrate his perfect pitch—he recently made his debut on vocals singing a low bass line on the Kermit Ruffins/Irvin Mayfield produced track “Don’t Worry Be Happy” in addition to providing vibraphone, marimba, whistle, woodblocks, shakers, snaps, claps, and chest drum. 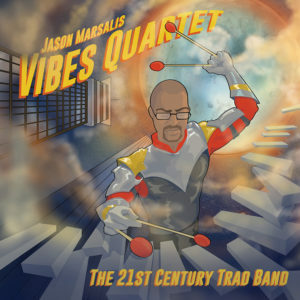 Those familiar with Marsalis’ recent work such as 2014’s The 21st Century Trad Band and 2013’s In A World of Mallets (that hit #1 on JazzWeek radio charts) will recognize his solid band formerly dubbed The Jason Marsalis Vibes Quartet, and now called The 21st Century Trad Band with Austin Johnson on piano, Will Goble on bass, and Dave Potter on drums—a group of young, dynamic players that bring a fresh perspective, but who can hang with the elite playing of Marsalis on vibraphone. The concept of Melody Reimagined grew out of live performances where the band would play a mixture of originals and covers of jazz standards. Frequently, they’d put together spontaneous arrangements of the standards to keep things interesting. 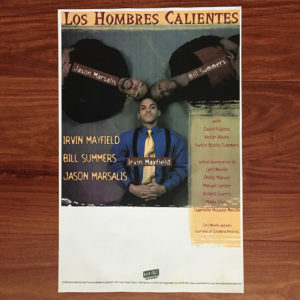 The practice of taking the harmonic structure, or chord progressions from one song and writing new melodies has been around throughout jazz history. For example, Duke Ellington’s “In a Mellow Tone” is based on the harmony from “Rose Room,” while Charlie Parker’s “Ornithology” is based on the harmony from “How High the Moon.” For this album, harmonies and chord changes from the American songbook, jazz standards, traditional jazz, and even 1980’s pop music inspire these new pieces. For example, “Passionate Dancer” draws from Michael Sambello’s #1 hit “Maniac” of Flashdance fame. Marsalis makes a mash-up of the structure of two classics—Horace Silver’s “Peace” and Charlie Haden’s “Silence” on “A Peaceful Silence.” And he excellently demonstrates how the inspirations of trad jazz found in much of the music of New Orleans can be used to make truly modern jazz, while also making a point about the misunderstandings of the city’s Mardi Gras celebration with “Bourbon Street Ain’t Mardi Gras.” Jason’s father, Ellis, and brother Delfeayo both make cameos on the beautiful ballad “80” based on the chord progression of “The Very Thought of You,” a touching tribute to the memory of Jason’s mother. 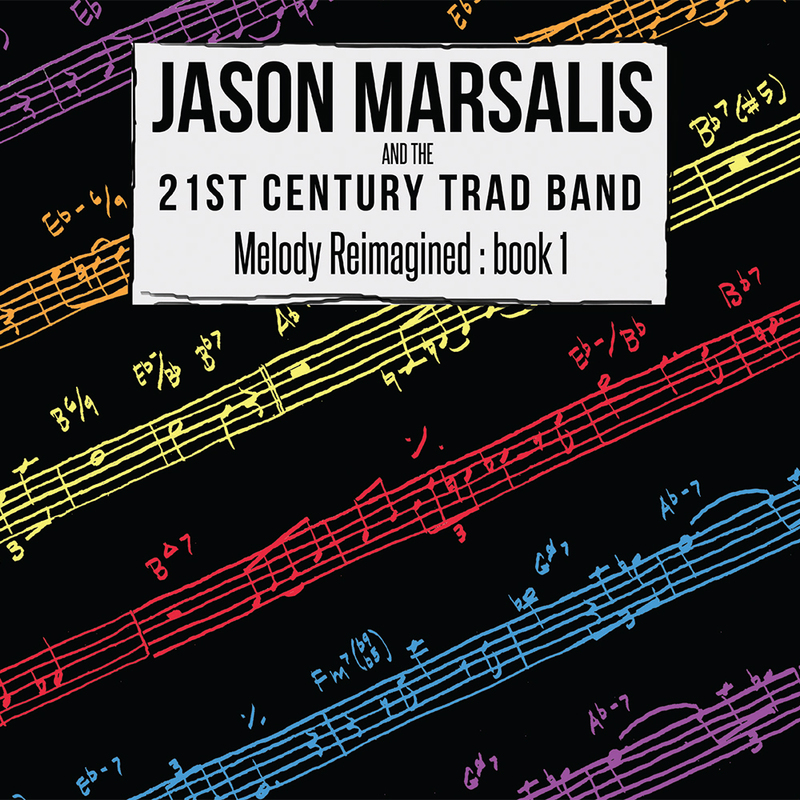 Whether you’re a true scholar of jazz, or simply a casual listener, Melody Reimagined: book 1 offers something for you, as simply an enjoyable album of music, but also something you can spend hours studying and re-listening to catch all its nuance. 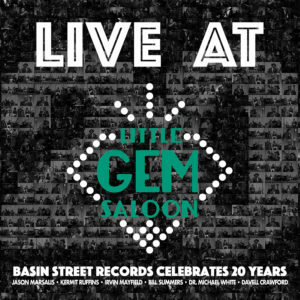 Recorded at Parlor Recording Studios in New Orleans, LA on Dec. 21, 2016. Additional Recording at Music Shed Studios and Ellis Marsalis Center for Music in New Orleans, LA. This recording is dedicated to the memory of my mother, Delores Ferdinand Marsalis, who left this earth on July 18th, 2017. She had amazing patience raising her sons Branford, Wynton, Ellis III, Delfeayo, Mboya, and myself. The importance to Dad’s life as well can’t be understated. Because of her, we are better men while she also impacted musicians from around the world. Thanks, Mom. Thanks: My wife, Kaya, and daughters Marley, McKenzie, and Evangeline. Austin, Will, and Dave for recording the music. Jasen Weaver, Gerald T. Watkins Jr., Oscar Rossignoli (thanks for the interlude), and Stephen Gordon for playing the music in New Orleans. Susan Young for the artwork and for also confirming that “contrafact” is a terrible word to describe jazz tunes based on chord changes from other songs.